I’ll never forget it. I was about 4-1/2 months into my voyage of losing 105 pounds and I was frustrated. I felt I hit a wall. I was working so hard, yet I wasn’t seeing the results like I had when I first began. But… I had made TWO very big mistakes…. Mistake # 1 – I was judging my success by the scale. I remember trying on a new pair of jeans one size smaller and they fit… yet the scale hadn’t budged. Mistake # 2 – I didn’t take the time to appreciate how far I had come. You must be sure you’re not making the same mistakes I did…cool? Don’t you roll your eyes at me. Your diet is your foundation. I’ll be the first to tell you – it doesn’t have to be perfect. 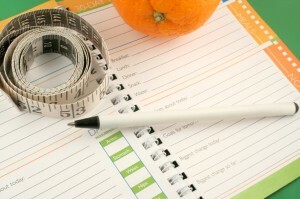 Step 1 – Record what you eat through a free app or fitday.com for 2 weeks to see what your average calorie intake is. Step 2 – Improve the QUALITY of your diet first. Most of the time, simply improving the quality of your diet will reduce the calories enough to see a change. For example, perhaps you’re eating a pack of crackers and a candy bar at the vending machine at the office at 2pm every day. Replace that with an apple. Boom – calories are cut. Do this for 2 weeks. If you don’t see any changes, then it’s time to resort to calorie counting. Reduce your calorie intake by 200 cals and watch your progress for 2 weeks. Then go from there. Look, I’ll be straight with you… a 30-minute walk on your off day won’t burn a lot of calories, but after dealing with hundreds of clients face-to-face, I’ll tell you what it will do…. …. get your mindset right. Watch your decision-making on food instantly improve when you are active on your off day. You can go for a walk, do ONE finisher, play with your kids, play some basketball…. anything that you enjoy for 30 minutes. You’re not mindlessly walking around and “winging” your workout are you? Duuuuuuude. C’mon. You need to fix that. That’s another conversation. If you track and progress your workouts, you’ll agree that you’ll burn more calories each week, right? Right. So, start focusing more on your workouts progression and choose 1-2 exercises at each workout to improve on. It can be increasing the weight by 5 pounds on an exercise or squeezing out 2 more reps on a bodyweight exercise. That’s progress. Don’t scoff at the idea (I did that and use it now… d’oh!). It’s the # 1 approach that worked for my private clients. Some people go about it all wrong though. I stumbled on this from one of my favorite coaches, Alwyn Cosgrove. 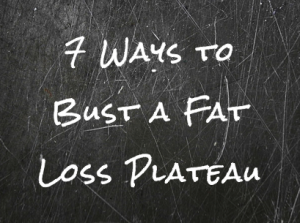 Instead of focusing on losing ___ pounds, focus on the process that will get you there. So, let’s say you want to lose 20 pounds of fat. Obviously, a sound diet and consistent workouts will get you there. So, you should commit to 3 days of exercise per week as well as ___ servings of fruits and ____ veggies per day. For your workouts, you’ll write out the numbers 1 – 12 and every time you complete a workout, you’ll circle a number. After your first workout, you’ll circle 1. That’s 1 of 12 workouts for the month. When you see yourself achieving these PROCESS goals, you’ll get momentum and your mindset will completely change. The “by-product”?… you’ll drop the 20 pounds. I’ve seen this happen… if you’re not getting enough sleep or you’re stressed out, you won’t lose as much (if any) fat. The solution to this is quite simple… get up earlier. The politically incorrect truth – most people aren’t willing to do that and will continue to whine and complain they don’t have enough time. When you get up earlier (even just 15 minutes), you can get a head start on the world. My coach and mentor Craig Ballantyne talked me into doing this about 2 years ago and it’s one of the best things I could have EVER done for myself. Yes, that means you need to go to bed earlier. To get a good night’s sleep, be sure your room is cool and you don’t look at electronics within 1 hour of going to bed. If you’re on a split program, switch to a full body program. You’ll hit every major muscle group and that means more calorie burning. 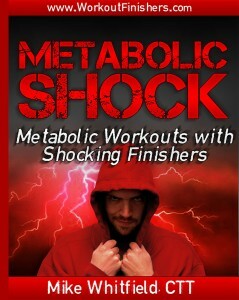 Use short rest periods (30 secs to 1 minute), non-competing supersets and circuits, and big compound movements. For example… a lower body exercise, a pulling exercise and a pushing exercise.